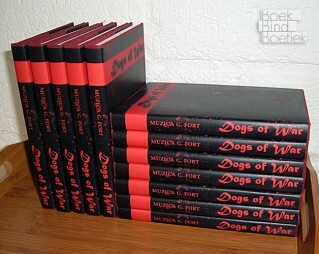 The following photo series shows the binding of the book ‘Dogs of War’. 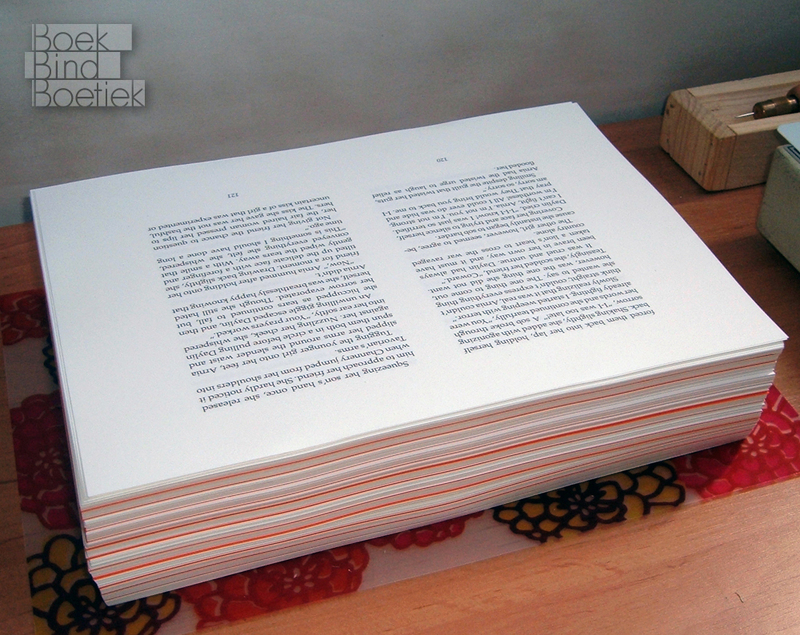 Fresh from the printer: 12 books on 398 FSC a4 papers. 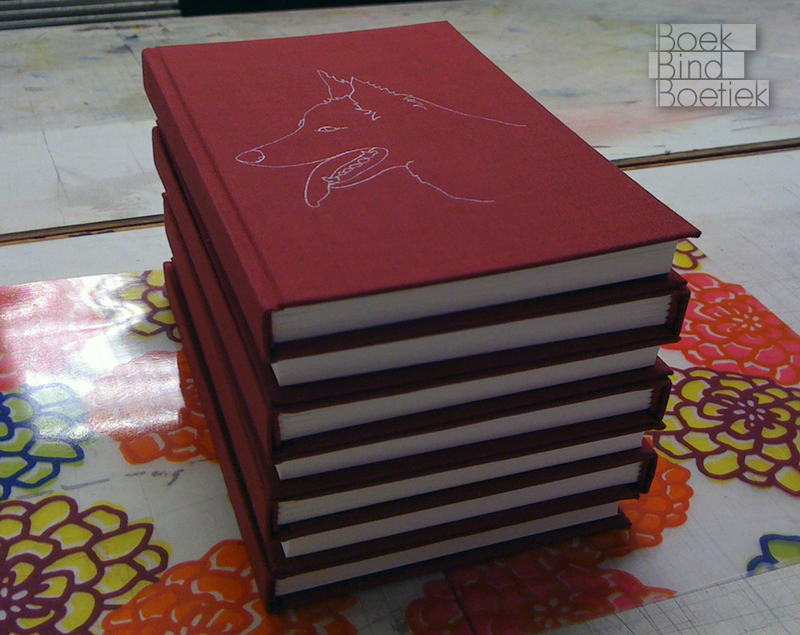 All pages were folded into signatures with a bonefolder. 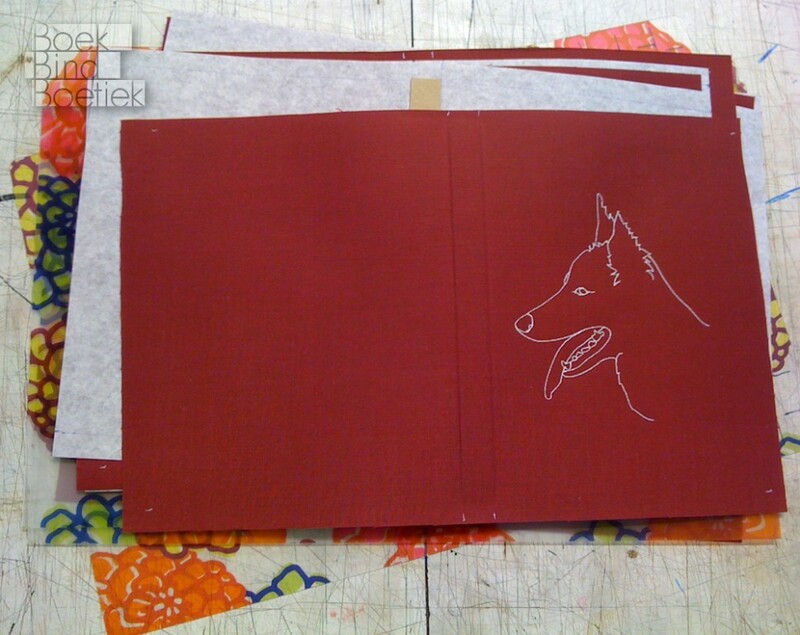 I used an awl and a punching tool to punch holes in the signatures, in preparation of sewing them together. 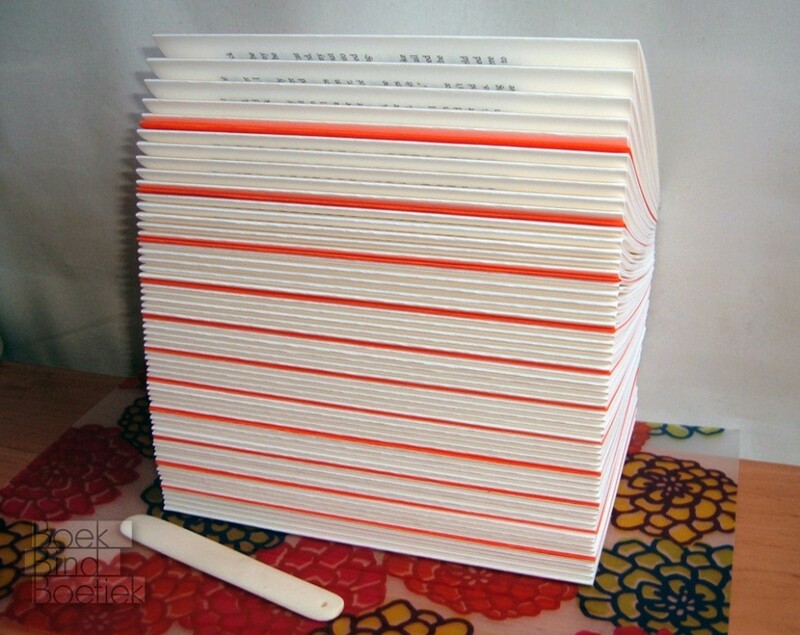 All signatures were then sewn together on paper bands, using a home-made sewing station. 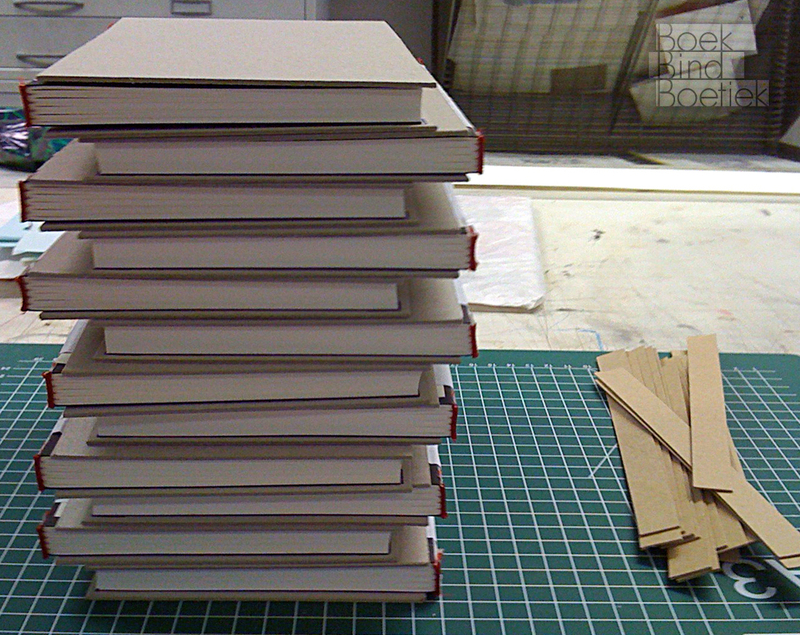 After separating the books and attaching the endpapers, they were glued, using a simple press. 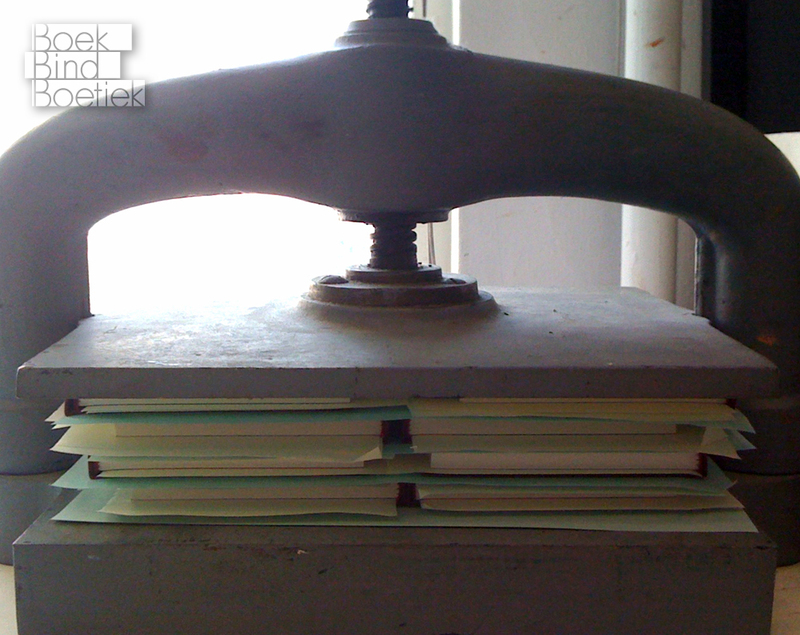 A piece of paper was glued on to reinforce the hinge of the finished book. 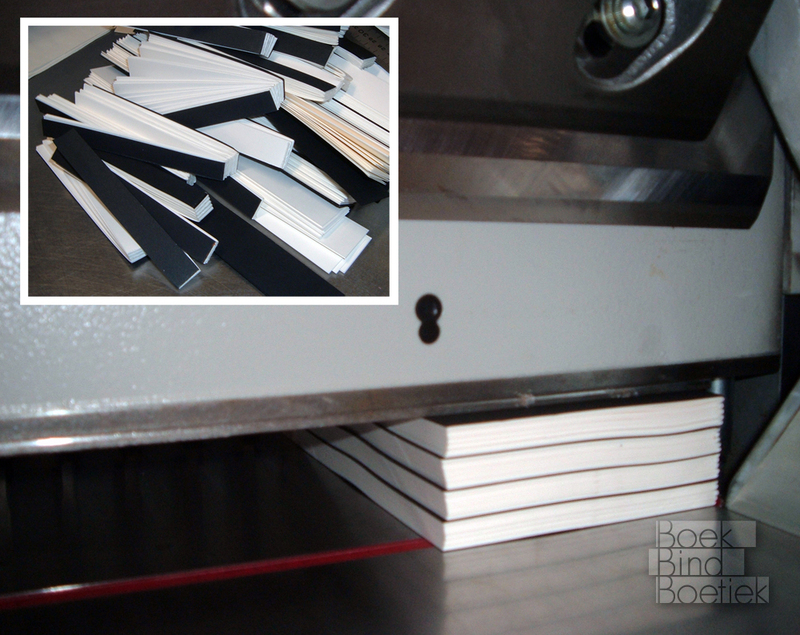 The books were then cut with a mechanical stack-cutter. 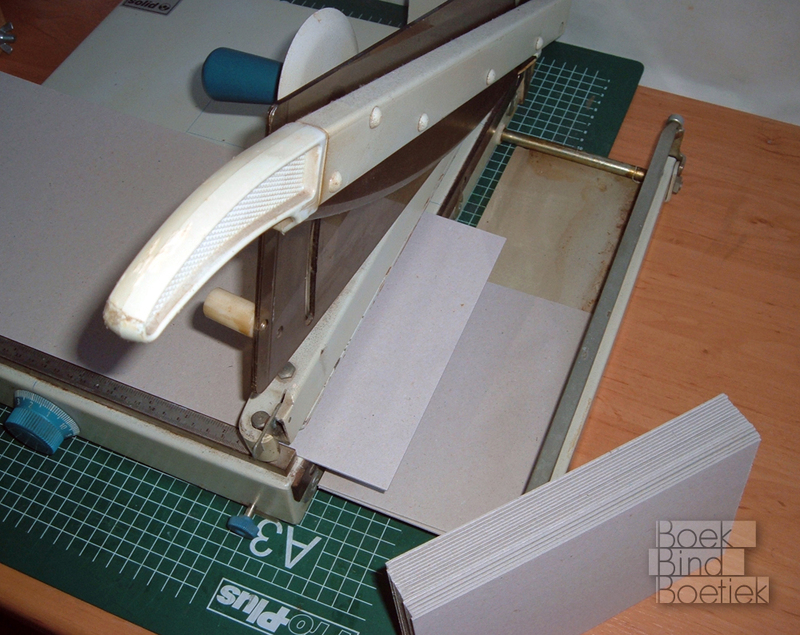 After measuring the clean-cut books, I knew what size to cut all the boards with my paper cutter. 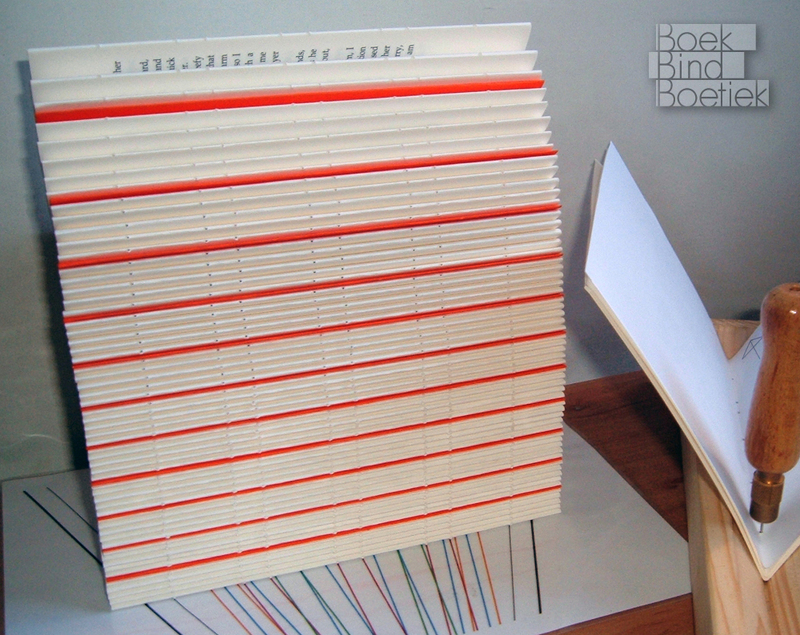 The front- and back-boards were glued on. 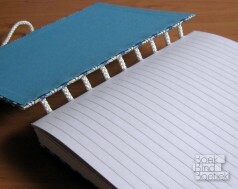 I also attached dark red headbands to the books. 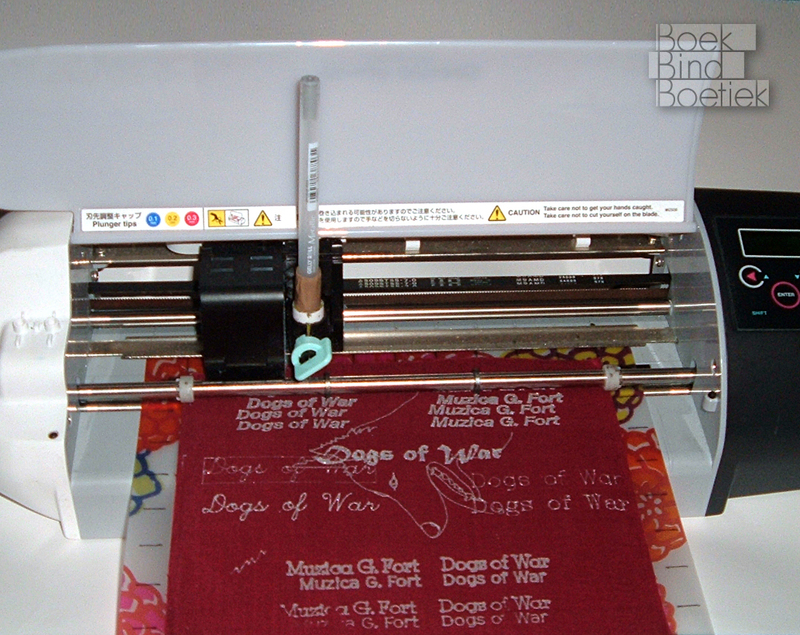 This photo shows my Craft-Robo cutplotter drawing some test designs and text on book-cloth. 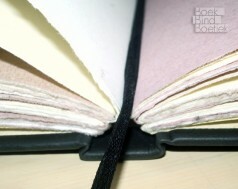 I glued the spine boards to pieces of book-cloth with the final design. 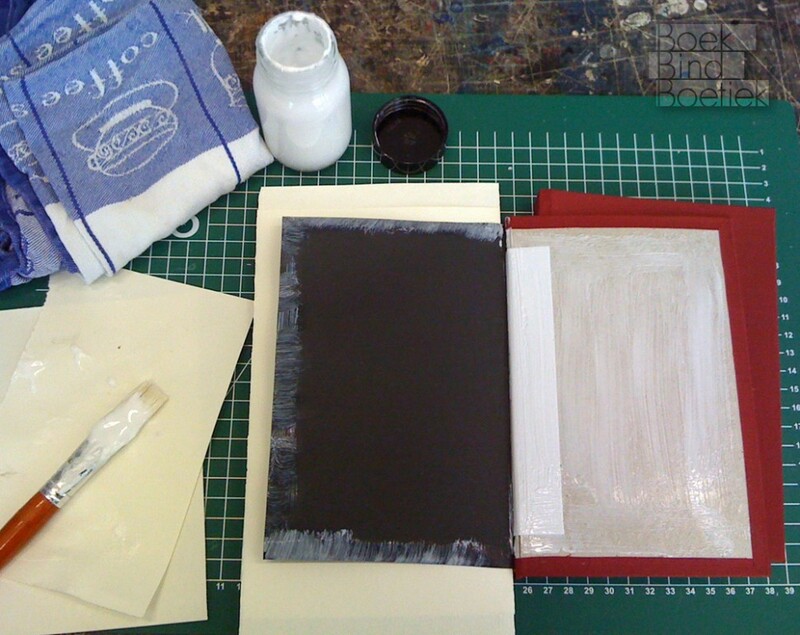 The book-cloth was then glued onto the covers, cut to fit, folded over, and glued onto the other side. 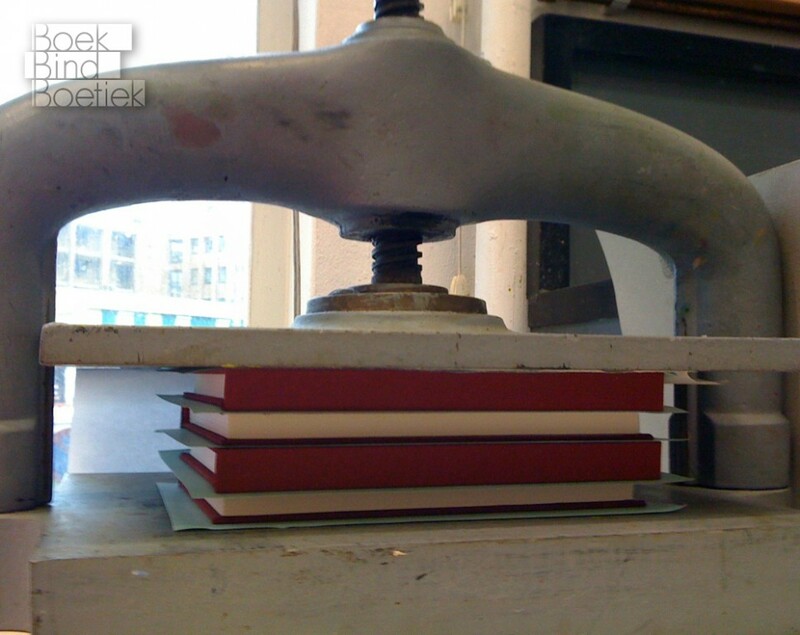 The books were then put into a nipping-press for about an hour. 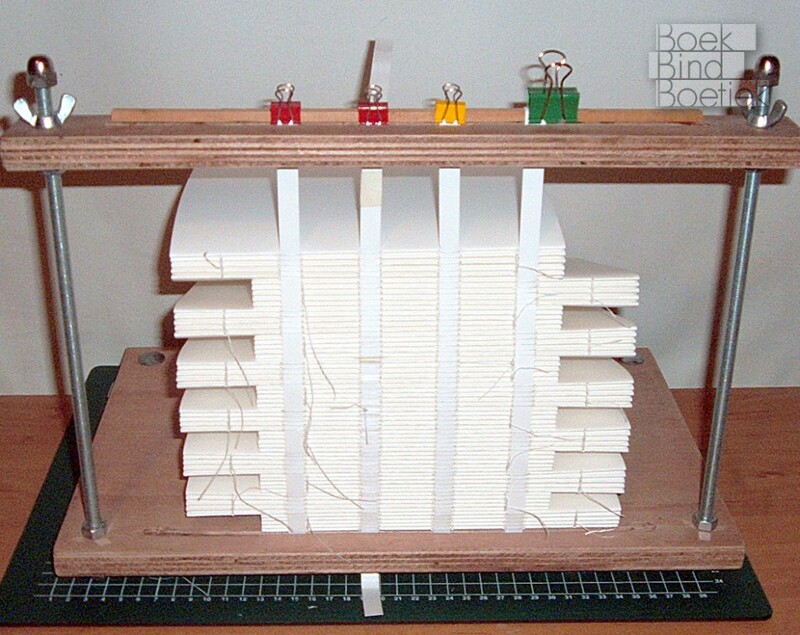 The boards of the book warp while drying. This is compensated by using wetter glue for the endpapers and letting them dry in the press overnight. 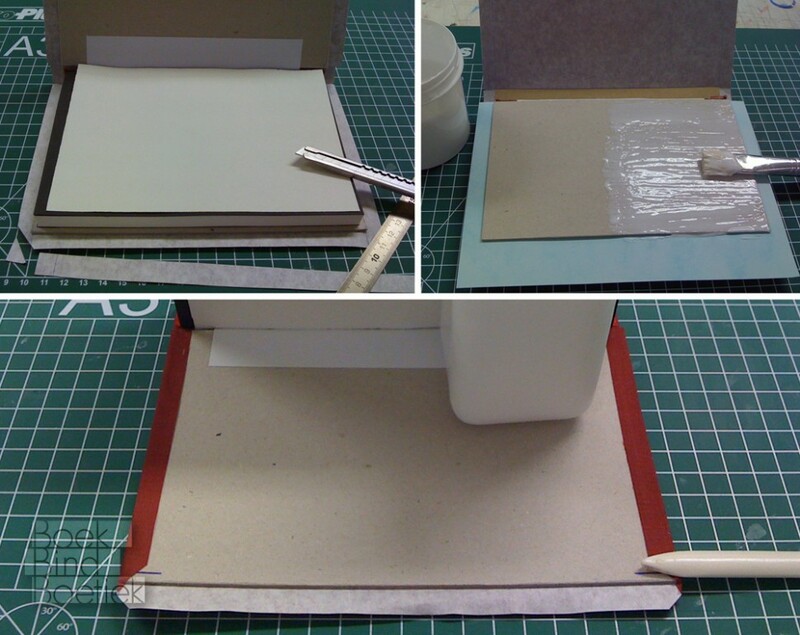 I use a mixture of 50/50 glue and paste. 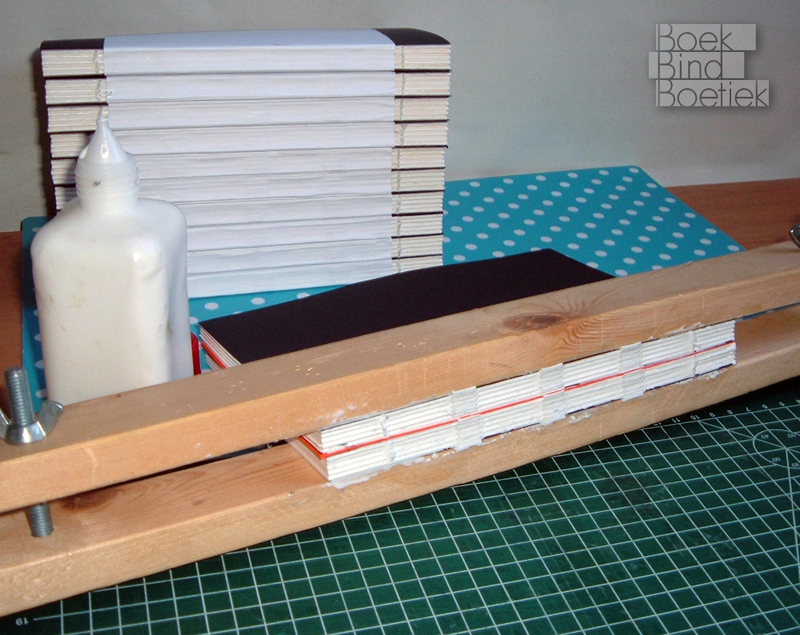 Also, I put the glue on the boards instead of the endpapers to prevent rippling. 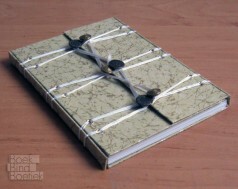 All that was left to do, was to have patience!